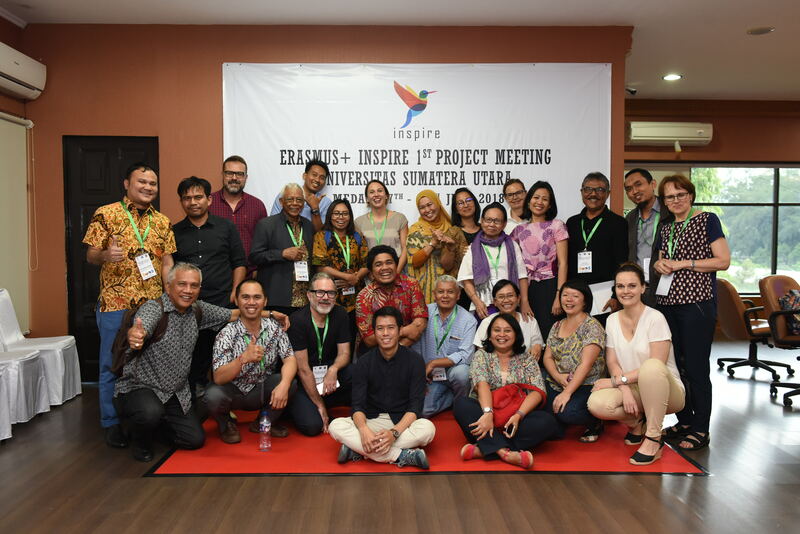 In July 2018, all INSPIRE partners met in Medan to participate in the first 3-day training on social entrepreneurship, where the first three module sessions were delivered. 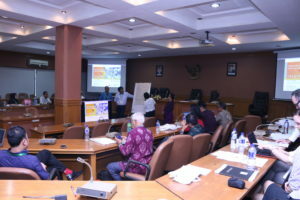 Each Indonesian partner university was attending with several staff members that will act as multipliers in their own institutions. Classification of core activities that are key to creating & offering a competitive value proposition. 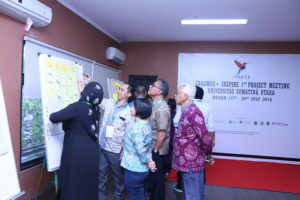 Participants were working in teams on a social business canvas in preparation of passing on the knowledge to their students. Module parts included: case studies, discussions, group work, brainstorming, idea mapping and other activities. 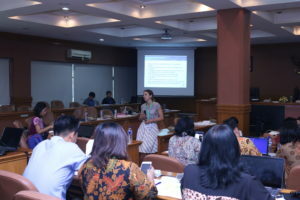 It was most important to empower trainers to become facilitators of identifying social problems and connecting them with business opportunities, in creating a social enterprise. In total, around 30 people were able to participate at the meeting contributing to an especially lively & motivated atmosphere involving active participation. Everyone was looking forward to seeing each other next time in Alicante!